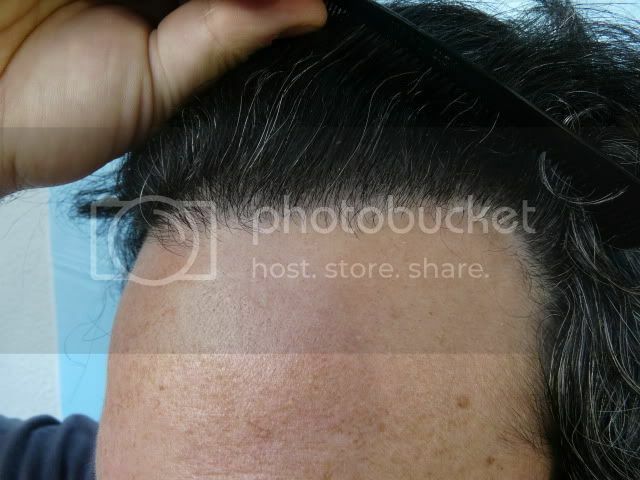 I can’t believe it’s been four years since my 1031 leg hair graft hairline repair/re-shape with Dr. Umar. Five years since my initial successful BHT test! I must say with all humility, that I never expected this great a result. I was simply hoping to diffuse my 1990s HT hairline a bit using a small number of grafts just to see what was possible at the time when BHT was new. This result has far exceeded my expectations on every level. 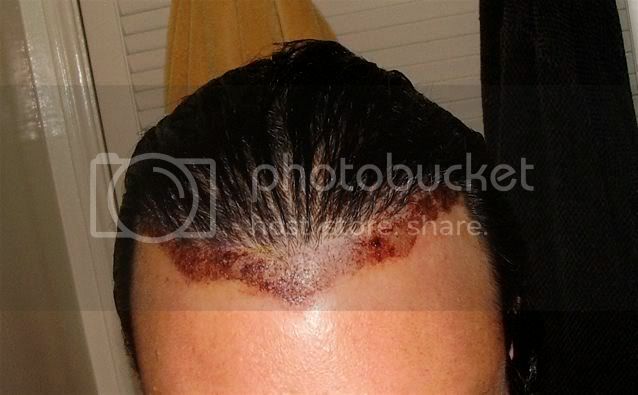 I can officially say I am not concerned about my hairline anymore whatsoever. 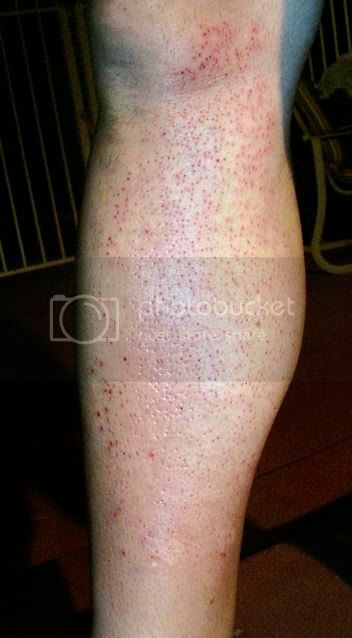 Attached are some pics outside in the Cali sun that show how the leg hair grafts are growing as strong now as when they first grew in. Check out the “root” of the BHT grafts. 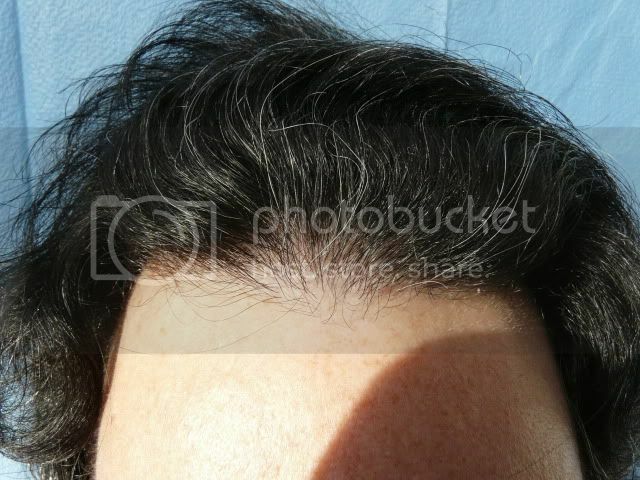 One can see how perfectly these grafts are growing out of my head with no pitting, ridging, or “root effect”, etc. 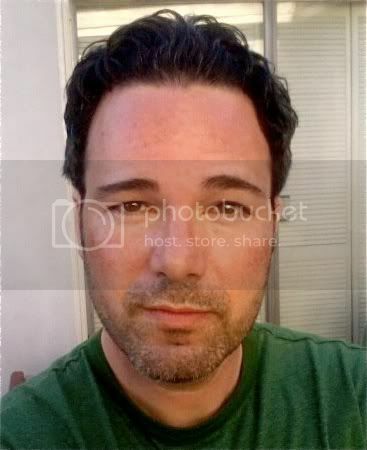 My head hair grafts form the 1990s aren’t nearly as seamless. 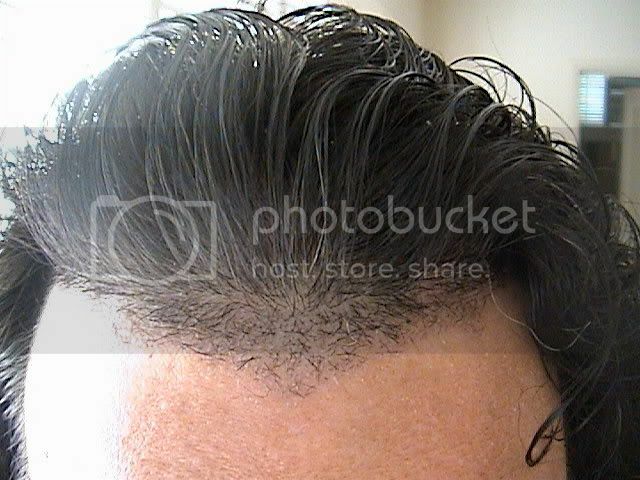 Anyone sporting a “pluggy” HT hairline should research this solution, imo. It was cost effective, accomplished in one day and reasonably priced. My only concern is maintaining my current state of happiness. It’s been a long HT road but well worth it. P.S. Please see the video in my signature for more information about my repair case. 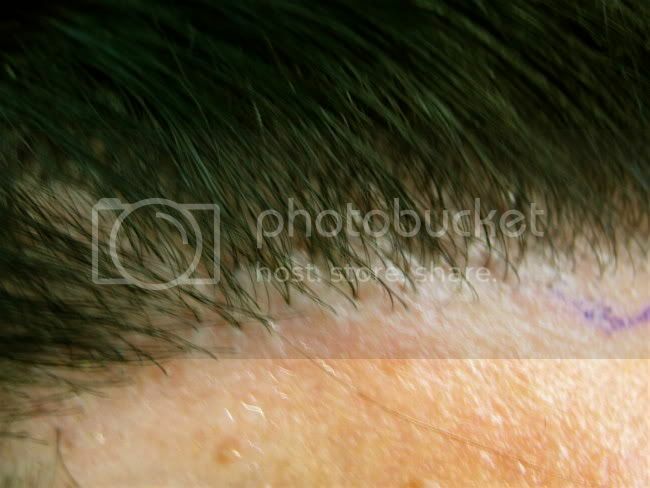 Simply pointing out that there is a very possible solution for folks that would like to do something about their “pluggy” hairlines using a small number of grafts without major repair work. In 2010, some of those 80s and 90s transplants can still look pretty natural without going broke or using up more precious “traditional donor hair”. First off, best of luck with your procedure! IMO, having had many procedures since 1992 at three clinics, you are in very good hands. Please, tell me a little about yourself. 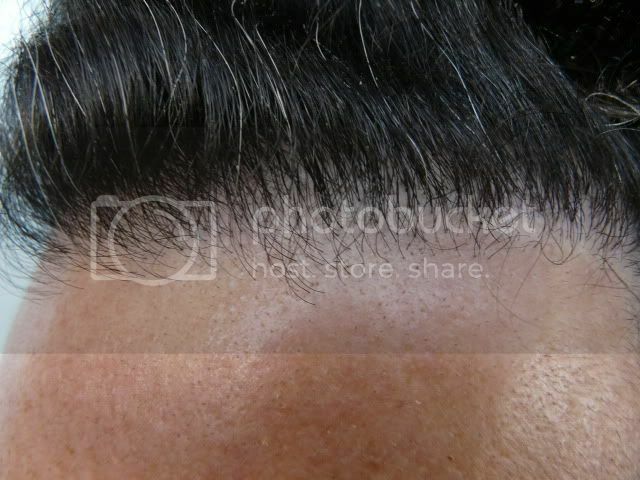 So far as recovery, FUE should be far less daunting compared to all those strip procedures I went through over the years. You’ll probably have some minor bleeding and facial swelling, as I did. This would only last a few days, tops. With strip, the first few nights of sleep can be rough and the sutures/staples are usually distracting if not uncomfortable until removed. FUE is a different story completely. If you cannot go to work in a hat, I’d plan on taking two weeks off because hairline work is difficult to hide. Is your hair buzzed short? I would avoid a hat for the first three days unless absolutely necessary and making sure the hat is NOT TOUCHING the grafts at all. Follow the clinic’s post-op instructions to a T. Don’t take any “risks”. NO working out or athletics for a few days. Lay low for a while. So far as how to handle people, well, some folks are very open about their HT, others are more… guarded. This is all up to you. If someone directly asked me, I’d probably come clean with them. But I’m 40 now and tell more folks about my HT than in my early 20s as a patient. Is your relationship serious? 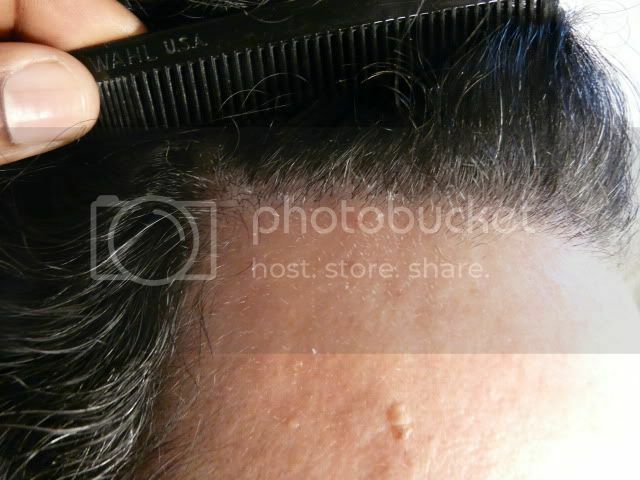 If so, she should understand that you are simply looking to restore some hair that was lost over time. What’s the big deal? It’s only hair. As for your friends, use your judgement. Would they keep it to themselves if you asked them to? Only you know your fiends. Act accordingly. In my experience, If you interact with people before the scabs fall without a hat, you probably will be asked about them. Would you be willing to post a pic? This would help me try to visualize what your situation may look like soon after the procedure. » First off, best of luck with your procedure! » Please, tell me a little about yourself. 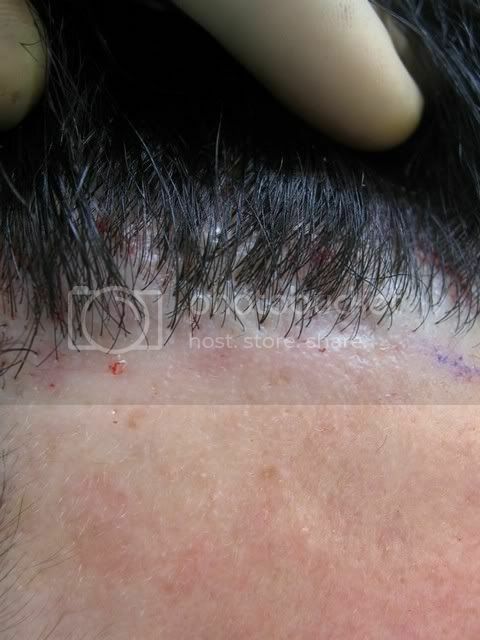 » sutures/staples are usually distracting if not uncomfortable until removed. » FUE is a different story completely. » athletics for a few days. Lay low for a while. » folks about my HT than in my early 20s as a patient. » without a hat, you probably will be asked about them. » Would you be willing to post a pic? » I wish you all the best. Had my hair as short as it’s EVER BEEN today! Much shorter than the pic above. Anyone interested in seeing a pic or two? Considering my hair has been very long lately, it’s a BIG change for me. The back is about one inch, sides even shorter, about two inches long on top. » Had my hair as short as it’s EVER BEEN today! » Much shorter than the pic above. » Anyone interested in seeing a pic or two? 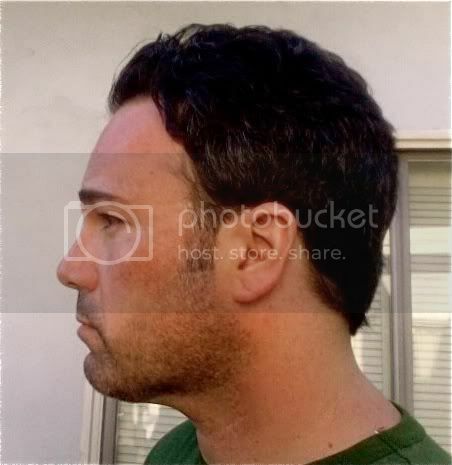 » Considering my hair has been very long lately, it’s a BIG change for me. » No scars showing. Phew! 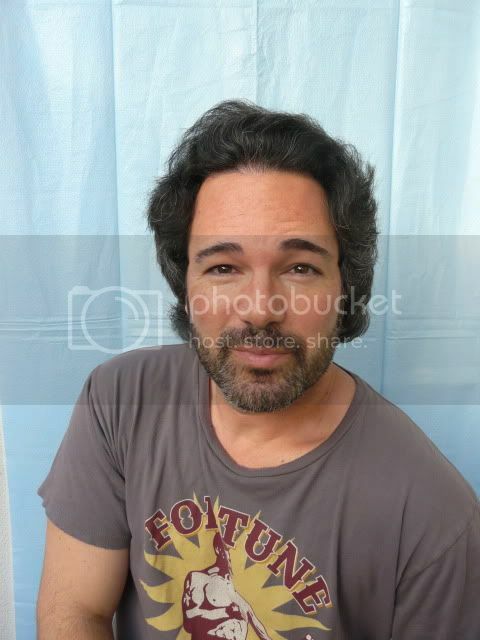 would love to see pix of the shorter hair, also by looking at my photos above, what do you think i should do as i get closer, buzz my head and continue to keep buzzing it periodically after the procedure. How long do you think it will take for the scabs to fall off and look semi normal, 7 days? Ditto what jbbreese said sofarsogood. I would definetely like to see what your hair looks like short. I’m a young guy yet, and not sure when I will have HT work done, but it’s still on the agenda. It’s nice to see what guys like you have done before me. Gives some of us younger pups a better idea what we are getting ourselves into. I would do whatever Dr. Umar advises. If you’re looking to disguise the work, ask him if you can grow out your hair a little and comb it forward after the procedure. 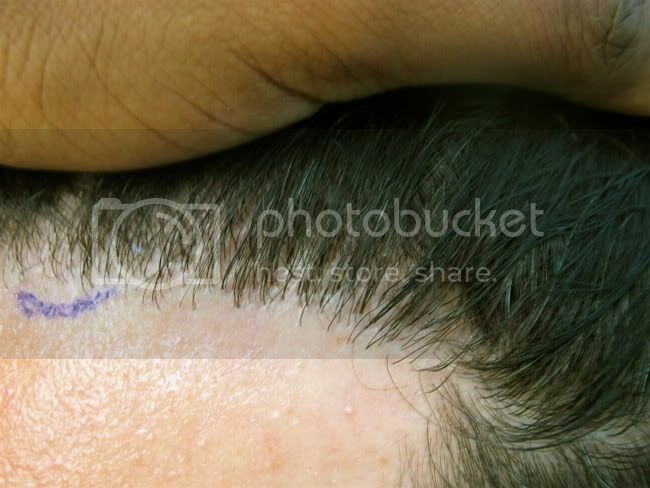 However, he may want you to buzz it shorter to ensure the grafts are placed exactly where needed and at the proper angle. If this is the case, I would advise going to a barber and get a nice, even buzz cut. Usually the scabs will fall after 7-10 days. Don’t rush the process by touching , rubbing or picking at them. 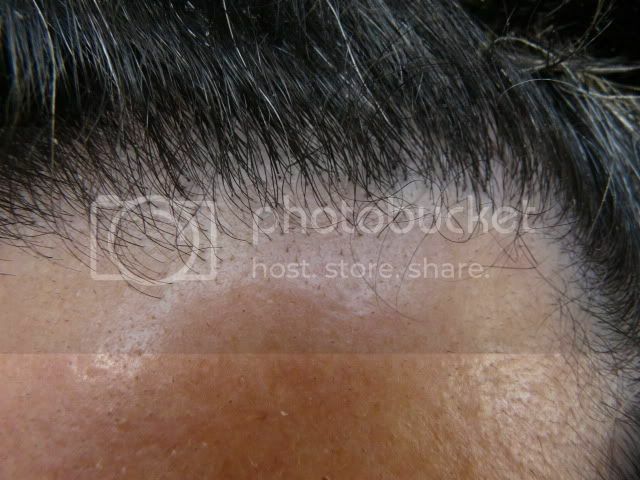 Ask him about using a spray bottle with some saline solution to spray on the grafts a few times per day. This worked very well for my healing in the past. Here are some pics from my haircut today. My hair hasn’t been this short since 2002! 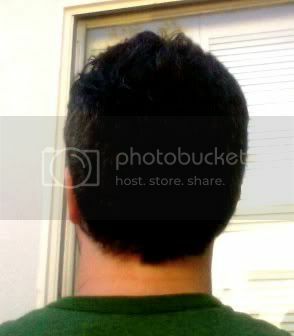 My hair is about 1 inch in back, shorter on the sides and about 2 inches on top. Very short for me but I’m getting used to it. At this length, my strip scars don’t show. Phew. But when I’m ready to have them repaired, I know just who to see.